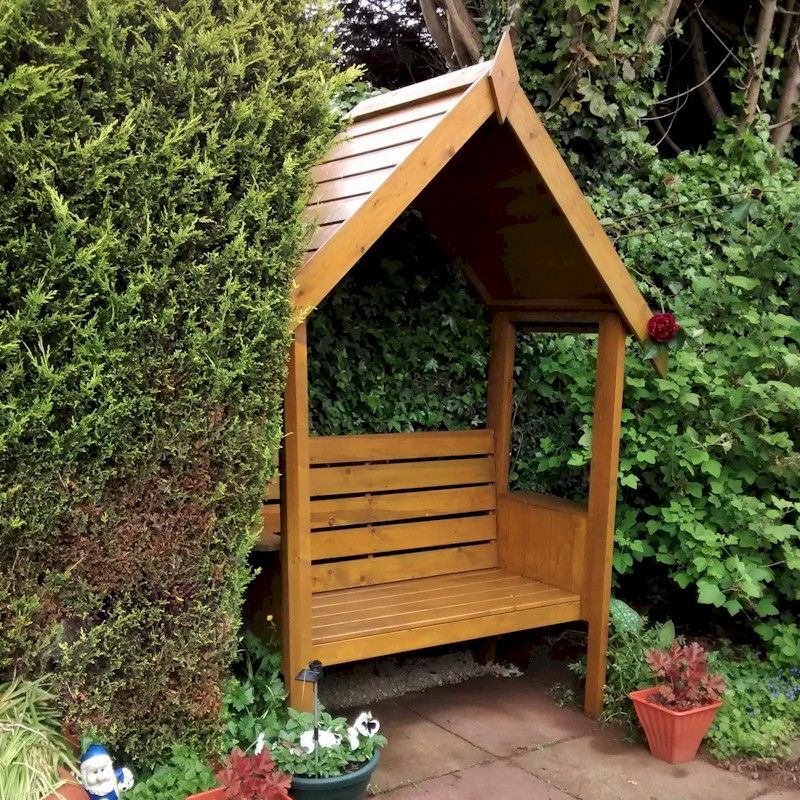 An arbour provides tranquil garden seating and, with its trellis sides and/or back, can also support cimbing plants for a truly picturesque garden feature. Choose from a range of sizes and styles to suit your garden and save £5 on orders over £199 this week (expires Sunday 23.9.18) with code AF18GA13. 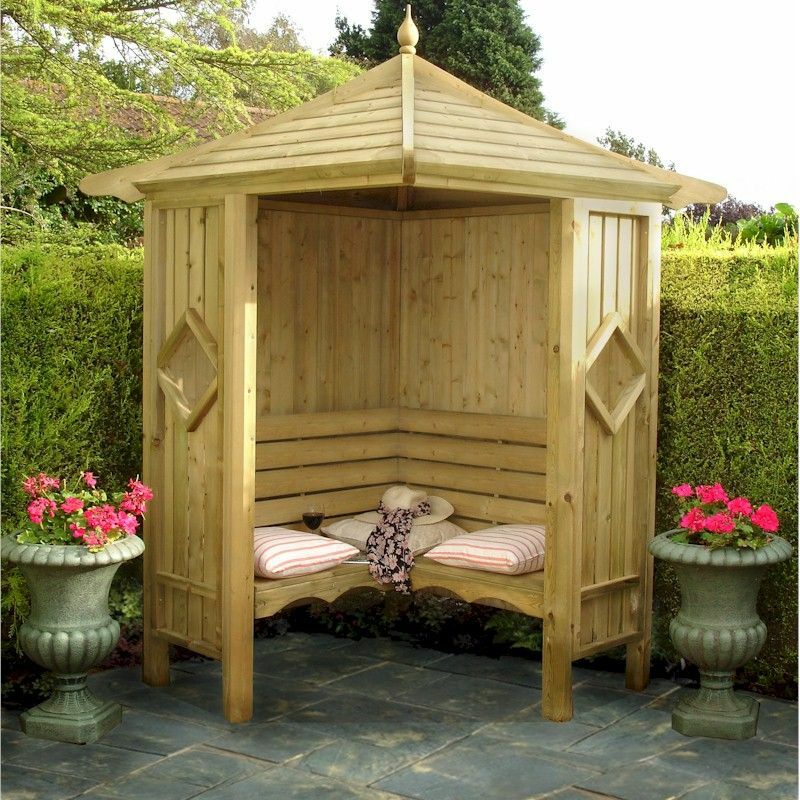 The Shire Blossom Arbour is a contemporary bench-seated arbour with an apex roof, exposed sides and rear panels. The structure is freestanding, but can also be placed against a wall or a fence. The Rowlinson Modena arbour is a contemporary design and will make a great addition to any modern garden. The Grange Linton Arbour, sometimes referred to as the Livorno Arbour, has a certain gothic charm and looks as good as it is practical. The Shire Corner Arbour, as the name suggests, is designed to be situated in the corner of a garden. This Grange Contemporary Arbour has real presence with modern straight lines, and a classic curved roof which employs quality finger jointing. 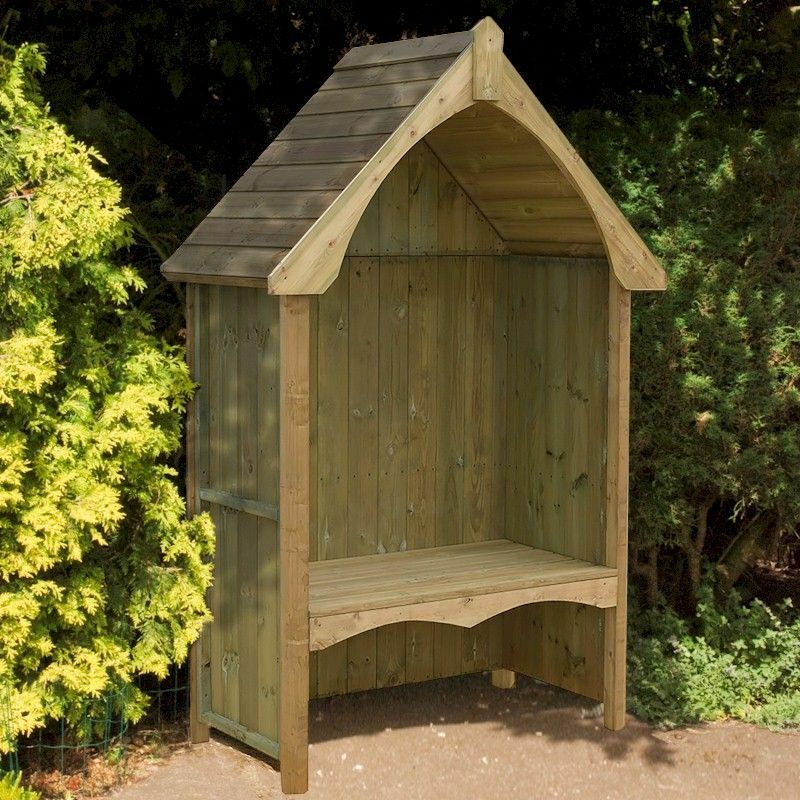 The Grange Somercote Corner Arbour, sometimes known as the Valencia Corner Arbour, is a larger structure ideal for siting in corners offering a delightful sheltered spot. 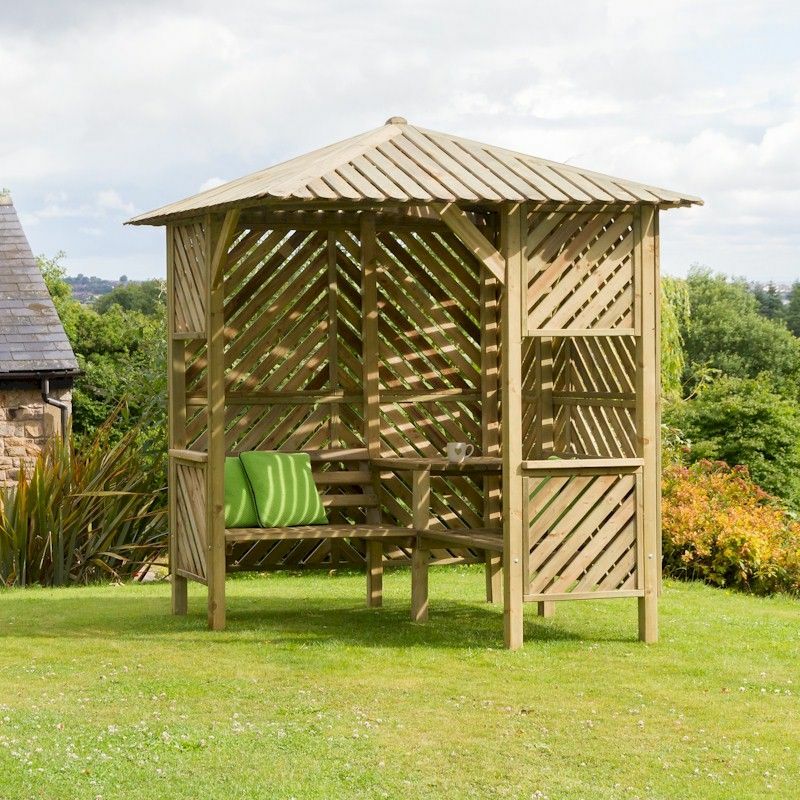 The Grange Somercote Arbour, previously the Valencia Arbour, is a beautifully designed structure with a slatted roof. 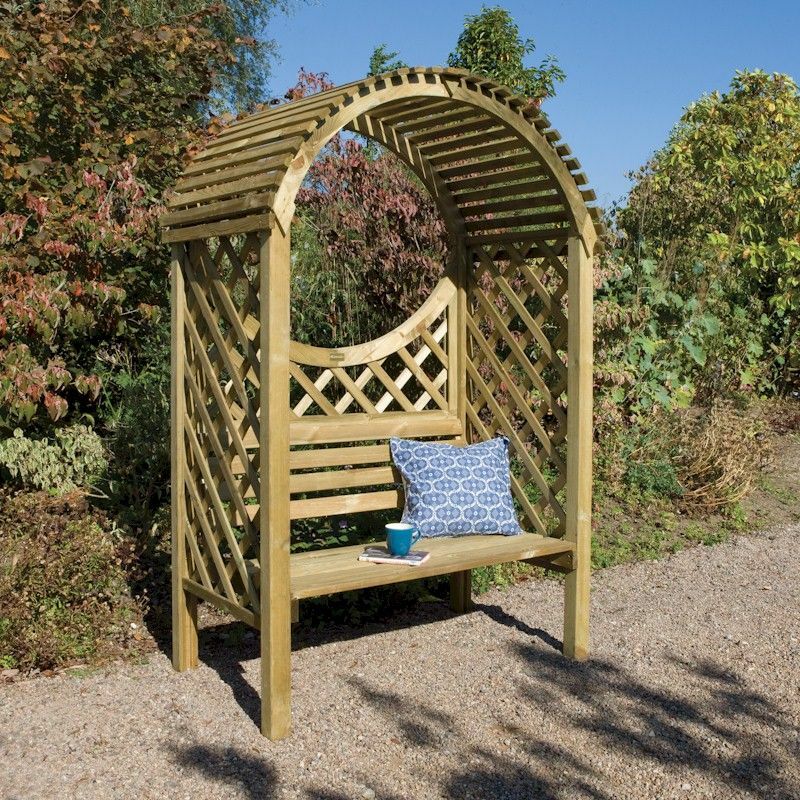 The Zest Brighton Corner Arbour is an impressive enclosed dual corner seat. 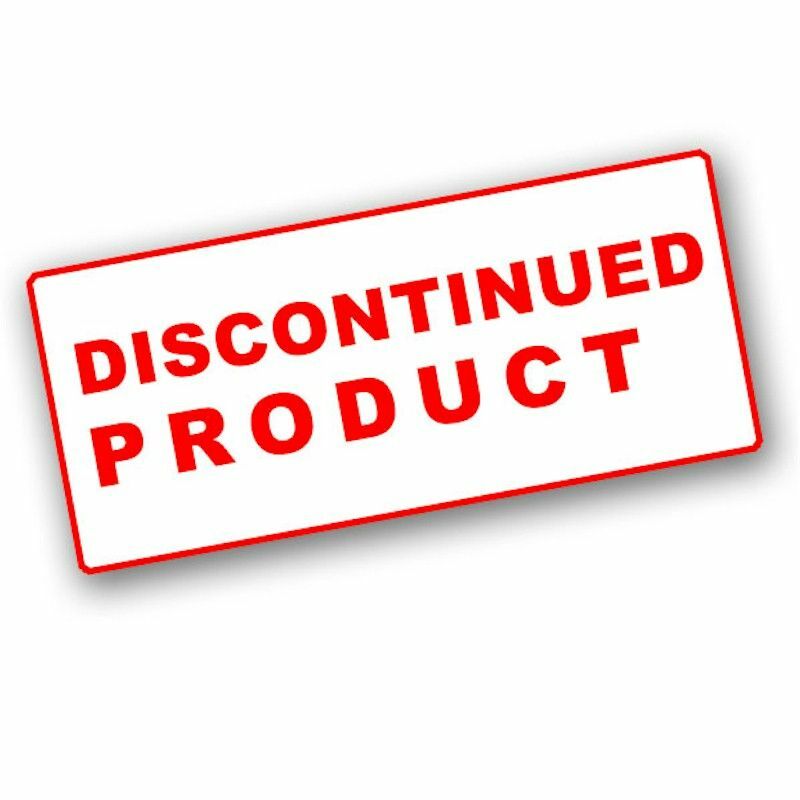 The whole structure is pressure treated for a longer lifespan. 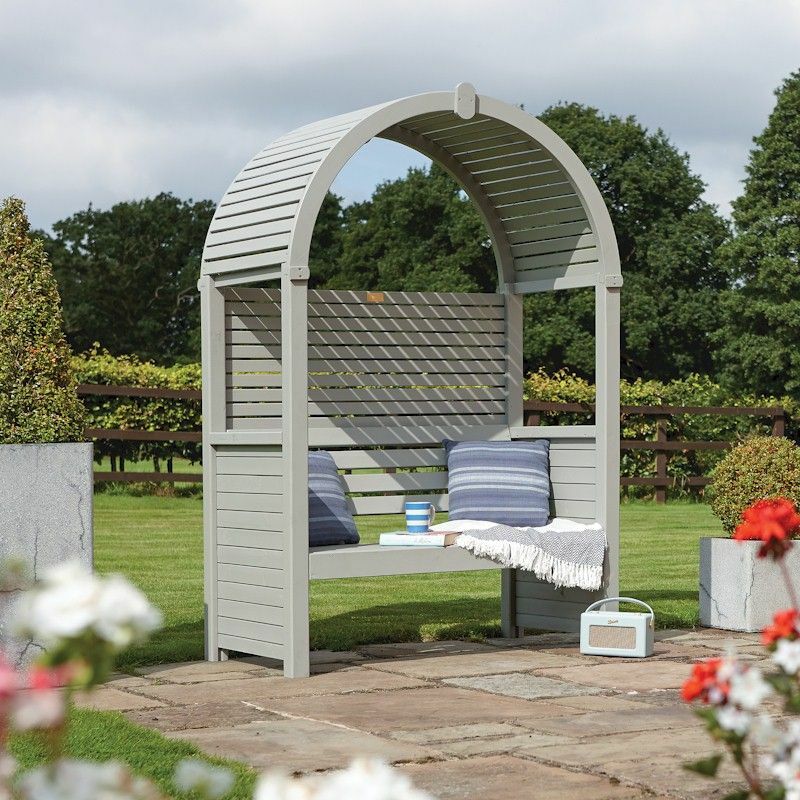 The Rowlinson Keswick Arbour features a beautiful concave curved back panel, with open slatted roof and lattice sides, the Keswick Arbour will bring many years of comfort and style.